Let's face it, taking a license picture can be daunting. What do I wear, how do I do my makeup, should I put my hair up or keep it down - it's nerve racking! You don't want to be stuck with a picture you hate, or one that your embarassed to show anyone. Getting your driver's license is a right of passage, and something you should be proud of! 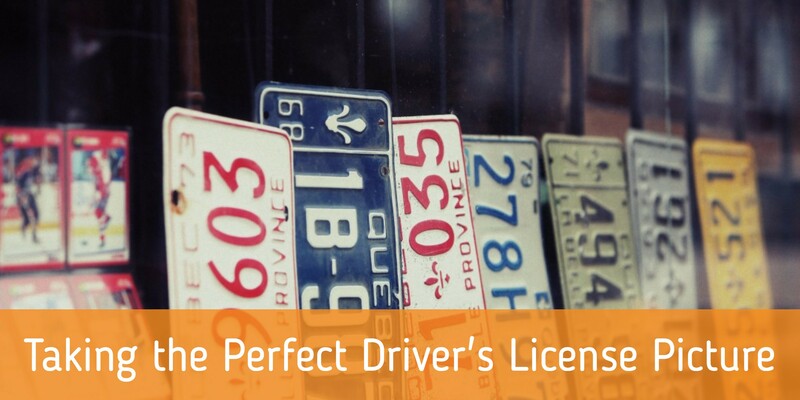 Check out the tips below on how to get the perfect license picture. Angle. Practice getting a good angle by taking a few selfies! This way when the big moment arrives, you know exactly how you should stand. Makeup. You know the saying less is more? In this case it definitely holds true. Use neutral colors - nothing too bright. You don't want to look like a clown. Eyes. Use eyedrops so your eyes don't look dry. If you wear contacts, make sure they aren't the ones that change your eye color. And most importantly, groom those brows! Trust me, you will be happy once you see the picture. Apparel. Watch what you wear. Stick with a soft color, such as blue, green or pink. If you're going to wear jewlery, keep it simple. Smile. This may be the most important tip. You should smile enough so that you don't look like a convict, but not so that all you see is a "big, toothy grin." Just relax, and be yourself. Act like someone who just got their driver's license! Don't be stuck with a driver's license you hate! Follow the above tips, and make your friends jealous at how AWESOME your license picture is. Want to get your Driver's License with the experts? Check out our CT Road Test options!